Desktopography - Wallpaper Fantasy World! What else do you expect from a project with the name Desktopography? 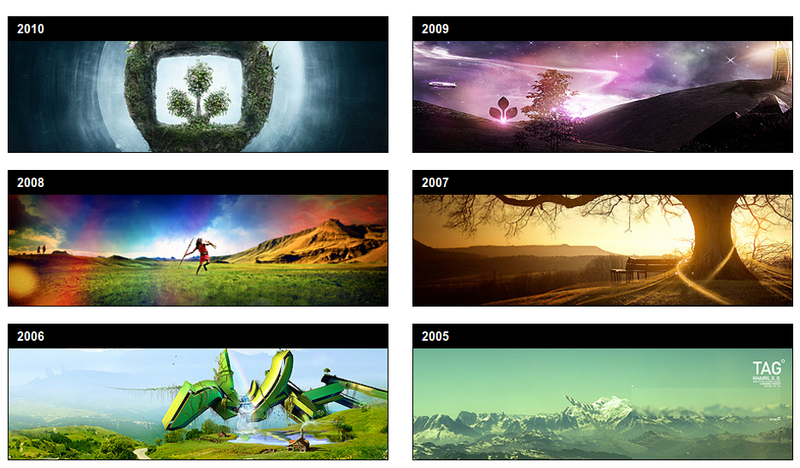 Nothing but pure desktop eyecandy in the form of incredibly well designed wallpapers. "Designers and developers spend about 90% of their waking life in front of a computer so the most appealing genre for a wallpaper would be one that has beautiful design mixed with the all important aspect of being outdoors." "What we see everyday can affect our mood and state of mind, enhance your desktop with a wallpaper creation from Desktopography and feel the essence of nature and the outdoor existence on your computer. Bring tranquility to your desktop, feel the wilderness and give your background a breath of fresh air…"
And if you love wallpapers, you are at the right place. Check out our most recent collection of top 8 Ubuntu/Linux wallpaper packs.